​This recap is just about ​Derrick Henry. There's no need to divulge into further details. Henry was a factor from the outset, with he and backfield-mate Dion Lewis setting the tone against a tough Jaguars defense. The Alabama product struck the Heisman pose and pulled a Marshawn Lynch with a Beast Mode touchdown for the ages. One 99-yard run will cement Henry in the history books, as he tied Tony Dorsett for the longest scamper in ​NFL history. Henry rushed for a franchise record 238 yards and four touchdowns, proving exceptionally electric against a disinterested Jaguars team. 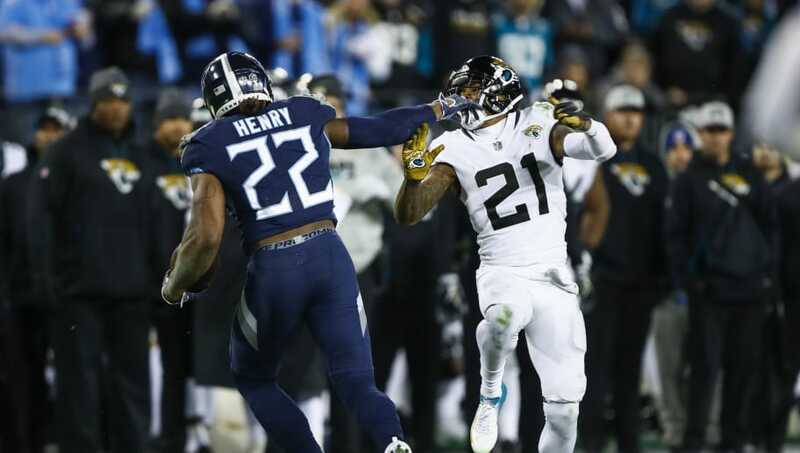 Jacksonville never gained their footing, as Cody Kessler had little time to throw the ball and their once-vaunted defense appeared unresponsive to coaches' pleas to up the intensity. Even star cornerback ​Jalen Ramsey found a way to embarrass himself. Frankly, this was a win Tennessee needed to have, as they still sit behind four teams in their way of a Wild Card spot. If the Titans are to make the playoffs for the second consecutive season they'll need some help, but the schedule sets up fairly well for them down the stretch. With their two-headed monster rushing attack leading the way in Nashville, we wouldn't bet against them.